The dedicated V110NT speaker cabinet is the perfect companion for the Lil' Night Train head. 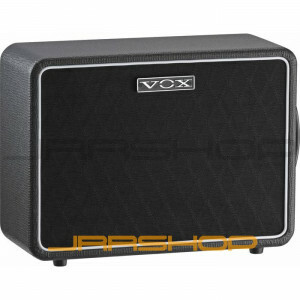 Packing a ten-inch custom Celestion VX10 speaker, this cabinet delivers a rich, full-bodied tone. The rounded retro-look exterior is a great match for the Lil' Night Train, making it the ideal choice in both sound and design.